Atton Rand, nicknamed "Jaq," was a pilot, and one of the Lost Jedi, who helped the Jedi Exile defeat the Sith Triumvirate. He joined the Galactic Republic military and fought loyally under Revan in the Mandalorian Wars. He defected to Revan's side when the Jedi Knight became the Dark Lord of the Sith. 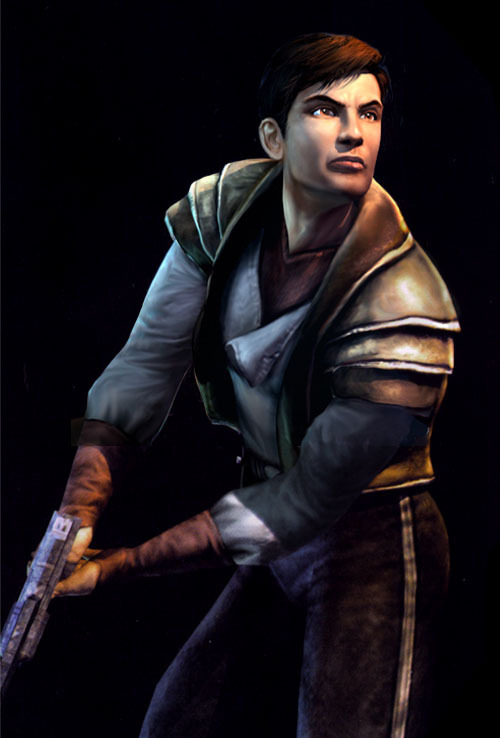 While under Revan, he was put through intense combat training to make him an effective Jedi hunter, assigned the task of capturing Jedi so that Revan and his acolytes could attempt to convert them into loyal Sith. However, when a female Jedi prisoner revealed that he was Force-sensitive and that he would likely be subjected to such treatment himself, he went into hiding on Nar Shadaa, the moon of the planet Nal Hutta. 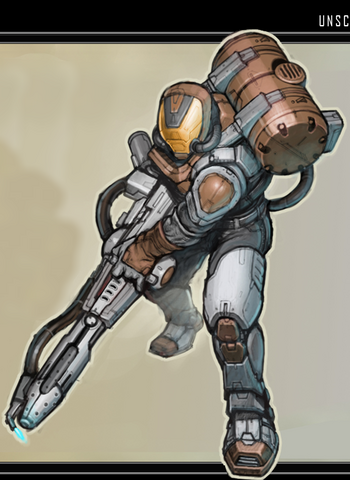 Several years later, Rand found work in the Peragus asteroid field as a miner at the Peragus Mining Facility. Mere days after the crews brought aboard a starship with two women and a few droids aboard, the station was sabotaged. 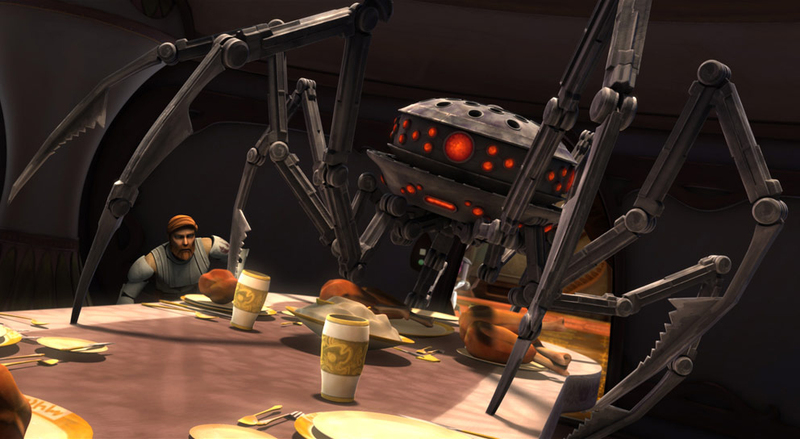 Every organic inside was killed by murderous droids, with Rand, who had been imprisoned for a security violation; the ship's owner, known only as the Jedi Exile; and an old woman named Kreia as the sole exceptions. Through teamwork, the three were able to commandeer her ship, the Ebon Hawk, and escape the facility. They fled to the world of Telos IV, a planet undergoing restoration in the wake of a Sith attack from Revan's crusade. There, they met Jedi Master Atris, who tasked the Exile with locating other Jedi Masters that had survived a recent Jedi purge perpetrated by a resurgent Sith organization that had virtually wiped the Jedi from the galaxy. The long search would span the galaxy and, along the way, Rand and the Exile grew closer. Rand would confide in the Exile his past and reveal his Force-sensitivity. With that, the Exile taught Rand rudimentary Jedi skills like many of the other companions they had compiled during the expedition. Once they had uncovered all of the hiding Masters and destroyed planet Malachor V, headquarters of the Sith, the Exile ventured to the Unknown Regions to search for Revan, leaving her companions behind. Her Force-sensitive allies, Rand included, would go on to rebuild the broken Jedi Order. Atton, nicknamed "Jaq," fought in the Mandalorian Wars as well as the Jedi Civil War. He originally served the Republic, but when Revan defeated the Mandalorians and assumed the mantle of Dark Lord of the Sith, Atton Rand defected to his side, along with a great number of the Republic forces that had served the Jedi in the war. During the start of the Jedi Civil War, Rand was part of an elite special forces unit, trained to hide their presence and thoughts from Force-users. He and others like him were sent on missions to kill or capture Jedi that would then be broken and converted to the Sith cause. It was here that he learned Echani combat methods and how to hide and keep himself from being probed by Jedi. Rand seemed to have a natural talent for masking his presence, and his superiors recognized his passion for wanting to make Jedi suffer in any way he could, but most of all by making them fall to the dark side. However, near the closing days of the war, Rand was eventually confronted by a female Jedi who informed him of his Force-sensitive nature, warning him that the Sith would undoubtedly come after him and break him into a Dark Jedi if they found out. Rand believed her since he had already heard rumors of disappearances of those who were found to be Force-sensitive in the ranks, but his hatred of the Jedi wouldn't allow him to see reason, and in retaliation he captured her and tortured her nearly to death. Then just when he thought she would die, she awakened the Force inside him, and allowed him to see life, to see what he was doing to it all around him by harming others. In response, he killed her. Rand later revealed that at first, he thought he would love to kill her, but at the end he killed her because he loved her. Disillusioned and pained with self-loathing, he deserted the Sith and went into hiding until the end of the war. After fleeing the Sith, Rand hid in the Refugee Sector of Nar Shaddaa, blending in with tens of thousands of refugees who had been displaced in both the Mandalorian and Jedi Civil wars. It was here that he became a smuggler. In the year 3,951 BBY, Rand made his way to the mining facility near the destroyed planet Peragus. He was apprehended by the station security for a security violation and imprisoned within a force field. Ironically, this predicament saved Rand's life. Shortly after being imprisoned, the mining droids and ventilation systems became corrupted and the facility was cleansed of all life while Rand remained safe within his Force cage. Atton was soon discovered by the awakened Jedi Exile and, after a brief introduction, was rescued, with the help of another Force-sensitive named Kreia who had been brought to Peragus with the Exile. They agreed to work together until they could escape from the station, with him helping the Exile as she searched for a way to reach the Ebon Hawk. As they were working, the Harbinger, bearing Sith Lord Darth Sion, docked at the station. Due to Kreia providing a distraction, Rand and the Exile were able to reach the Ebon Hawk and leave the facility. During their escape, the Harbinger's weapons fire started a chain reaction that destroyed the fuel-laden asteroid field and mining facility. This forced the three of them to stay together as they fled for Telos IV, where they were imprisoned for suspicion concerning the explosion at Peragus. Annoyed at once more ending up in a cell, Atton spoke of soon being able to leave the Jedi. However, when they were given free roam of the station after being cleared of the crime, they found that the Hawk had been stolen. This led to an investigation that ended up on Telos's ravaged surface, where they met the mechanic, Bao-Dur. After fighting their way to a transport, they tracked the thief to an old, abandoned irrigation system near the planet's north pole. Shortly after landing there, they were imprisoned by Atris, a Jedi historian. Calling herself "the last of the Jedi," Atris imprisoned Atton, Kreia, and Bao-Dur, much to Atton's disgust and annoyance. During their incarceration, Kreia became suspicious of Atton's lingering fear of the Jedi, and used the Force to probe his mind, ignoring his protests. Despite his skills for shielding his thoughts, he was unable to prevent her from unearthing his entire sordid past. She then used this knowledge to blackmail him into staying with the Exile, for, despite his uncaring demeanor, he didn't want her to know what he had done, or who he really was, for fear that she would think less of him. Thus, when the Exile returned and offered to let him go his own way, he refused. However, as the Exile had been speaking with some of the Handmaiden Sisters, she discovered and asked about his Echani training. Loathe to delve into his past, Atton covered it up, saying that he had faked it. However, the Exile could see that he knew the combat form, and considered him an asset. When she told him so, he was pleased with the compliment, and his attraction to her grew. Atton accompanied the Exile throughout her mission to find the remaining Jedi Masters so she could discover truly why she had been banished, and why she'd lost the Force. They traveled to several planets on this quest, such as Nar Shaddaa, Onderon and its moon Dxun, Dantooine, and Korriban. Due to his knowledge of Nar Shaddaa, the Exile frequently consulted Atton while there, and he was happy to give advice. However, Atton was not pleased when the Exile gave the Ebon Hawk to a man named Ratrin Vhek, who claimed to be the real owner of the vessel. This, however, proved fortuitous, when a group of slavers named the Red Eclipse murdered him, believing him to be the one who had claimed their pre-arranged landing pad. The Exile slowly proved her loyalty to Atton as her friend while there, which greatly pleased him, as his attraction to her was blossoming; something that she was beginning to return, calling him an expert at slicing when he asked to help her with a slicing project. She also challenged his twisted views of the Jedi Code, showing that not all Jedi were arrogant and ignored the weak. However, Atton's carefully woven web of lies eventually came crashing down; while on Nar Shaddaa the Exile was approached by two shady Twi'leks who told her that they had seen Atton when he was first in hiding there, and that he wasn't a mere smuggler, but a murderer. She confronted Atton about this, and while angry at her persistent questions, she had earned enough of his trust at this point that he told her the whole truth about his past. She forgave him for what he had done and welcomed him to stay with her on her journey to stop the Sith, and at his request she awakened him to the Force once again, and trained him to become a Jedi Sentinel. In this he became more and more loyal to her, starting to care deeply for her safety and welfare. During their trip to Dantooine in their search for Jedi Master Vrook Lamar, they encountered a man named Mical, who had once been a hopeful for apprenticeship to the Exile. He joined her in her search for the Jedi Masters, something Atton hated, as he was very jealous of him and his prior friendship with the Exile. The Exile, however, treated them both in the friendly manner despite their differences, but Atton would continue to irritate Mical during their travels. From that point on Atton traveled with her as part of her entourage to the other key worlds, Onderon, Dxun, and Korriban, until the Destruction of Malachor V. Afterwards, the Exile left to follow Revan into the Unknown Regions, with her Force-sensitive companions setting forth to rebuild the Jedi Order. As a witness to the brutality of the Mandalorians and the loss of millions of Republic lives, Atton grew to despise the Jedi Order. He viewed them as hypocrites - cowards who swore to protect the Republic, but chose to stay within the safety of their temples on Coruscant and Dantooine while the Republic crumbled under invasion. Only Revan and the Jedi who rallied to his cause, such as the Jedi Exile, commanded Atton's respect and dedication. He came to see Revan as a savior and a leader that he would follow to the ends of the Galaxy and beyond. When Revan turned against the Galactic Republic, which Atton and many others had grown disillusioned with during the war, Atton did not hesitate to declare his loyalty to the only person he thought had earned it. In his own words, "We were loyal to Revan. That was enough. He saved us." Atton faced the galaxy with dismissive apathy and sarcasm. His laid-back attitude and unwillingness to take a position of responsibility often jarred with Kreia's grimness as the two traveled together. He also had an irrational hatred of droids, claiming that they couldn't be trusted, and referred to T3-M4 as a "trash compactor" and even suspected T3 of stealing the Ebon Hawk on Telos, saying "He's probably joyriding around the system right now, laughing at us?laughing at me!" Where this dislike for droids stems from is unknown, as it appears to pre-date the droid rampage on Peragus, which is furthered evidenced when he said that droids "break in the head". Having been betrayed and tricked numerous times, Atton was slow to trust others, yet appreciated when others trusted him. He also liked to impress people he respected, not wanting them to think badly of him. He was naturally cocky, giving the appearance that he breezed through life without a care, though after his encounter with the female Jedi who showed him the Force, his emotions were in almost constant turmoil. However under that cockiness lay a man who hated the Jedi that did not fight in the war, and had some doubts about the Jedi that did, and despised arrogance. He also hated being used, which became evident at his reluctance at and subsequent loathing toward Kreia's blackmail. Atton was also a man who stubbornly refused to give up, often standing to rejoin a fight even when seriously wounded. He furthermore relied on his gut instincts to see him through. These instincts turned out to be surprisingly reliable, though this could well be attributed to his Force sensitivity. Atton's first encounter with the Jedi Exile, who walked into his holding cell area in her underwear, left him instantly attracted to her. After she helped him escape, Atton commented that it must be tough considering how she was not allowed have a family or husband. Though he planned to separate from her and her entourage the minute he got the chance, Kreia's blackmail forced him to stay with her, using his respect for her as a tool. Slowly, his attraction to her grew, and was pleased when she considered him an asset because of his Echani training and also as an expert at slicing. His attraction for her went so far as to ask Bao-Dur if he had any chance with the Exile, though the Zabrak offered no comment. He became concerned for her safety, warning her about what could happen in the Jekk'Jekk Tarr, even giving her some health packs and continuing to keep an eye on her and her welfare. Things became complicated for Atton when the crew landed on Dantooine and the Exile found her prospective Padawan from years before, Mical. Their relationship, though completely friendly, filled Atton with jealousy, causing Atton to lash out at Mical whenever he simply offered to help. When the bounty hunter Mira joined the crew of the Ebon Hawk, she first noticed Atton's close attention of the Exile and Mical, even coming close to figuring out his secret. Atton was skilled in combat, being an expert in the handling of pistols and a practitioner of Echani combat methods. He was also a competent slicer, able to use loopholes in programming to attain his own ends. One example of this was when he used the standard transmission hail for freighters landing on the Peragus Mining Facility to gain access to the communications system by bouncing it back to the main console. 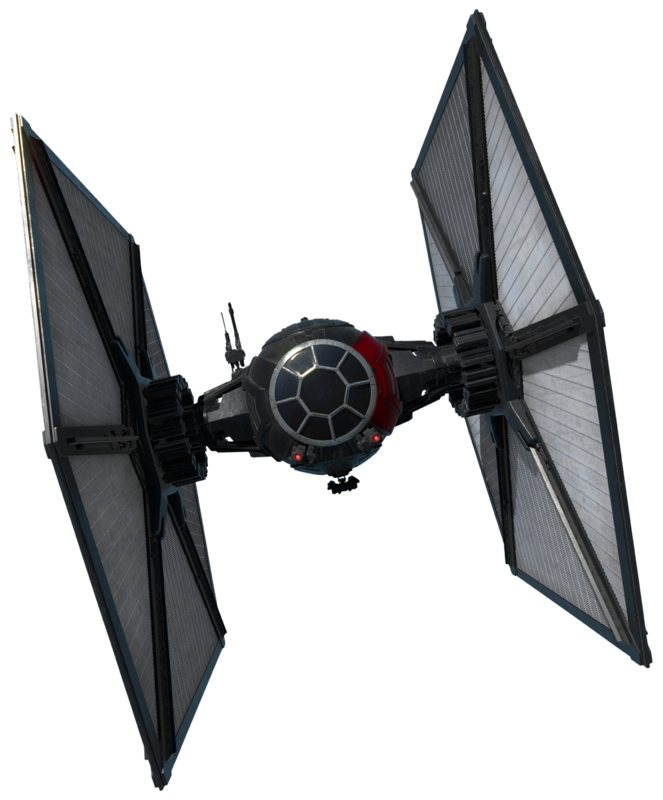 He was also an exceptional pilot, managing to escape General Vaklu's fighters and land on Dxun, where he proved he had some mechanical skill by repairing the damage done to the Ebon Hawk. A remarkable aspect of Atton's nature was his resistance to Jedi mind techniques. He originally taught these to himself so that he would make an effective assassin, as they would prevent him being detected and give him some resistance to Force powers. The defense was so effective that even Kreia had to make a concerted effort to probe his mind. He later taught the Exile one of the techniques he used; it involved keeping the mind occupied, for example, by imagining playing pazaak or counting sounds made by the Ebon Hawk's propulsion. Another technique he used was concentrating certain base emotions (e.g., lust) to keep Force wielders off-balance when trying to affect his mind. He could also mask his presence from the Jedi (and even some of the Sith he was working for) that relied on the Force to sense people's presence. Another remarkable ability he seemed to possess was, by some means, recovering from injuries that might otherwise appear grievous, able to stand and fight again and again after being downed in combat. Atton proved a formidable Jedi hunter, using his skill at discovering a Jedi's weak points and exploiting them. For instance, he usually refrained from attacking Jedi directly, choosing instead to kill or maim their allies, especially their Padawans. Because of the Force bond between the two, this would ruin much of the target's concentration and focus, allowing for an easier kill. He was also a Force-sensitive, having limited training in the Force. The Jedi Exile recognized this, and trained Rand as a Jedi Sentinel. As a Jedi Sentinel, Atton learned, evenly, both to channel the power of the Force and to make adequate use of a lightsaber. He also gained a natural immunity towards certain mind-affecting Force powers such as Force Fear and Force Stun.